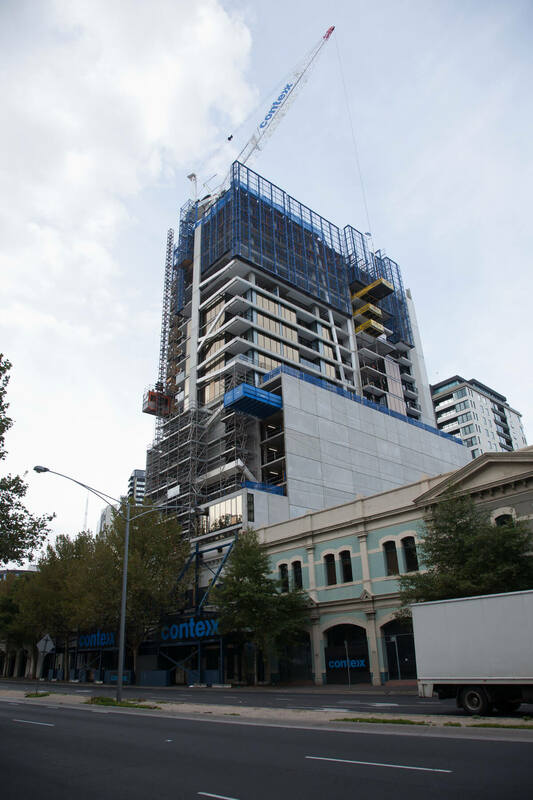 With 90% of Wrap sold and its builder Contexx appointed construction on the 42 storey building in the heart of Southbank adjacent to Melbourne CBD is well underway. Wrap contains 296 apartments and was successfully marketed locally and overseas. Construction is expected to take just over 2 years with completion in early 2014. The Wrap building contains a unique approach to apartment living with its ground floor foyer likened to a hotel lobby, warm open fireplaces, oversized furniture pieces and a soft plush environment welcome any Wrap visitor. Facilities provided included gymnasium, swimming pool and sauna. The external façade will create a new dimension to the Southbank skyline with Wrap’s architectural wrap element adding to the buildings dynamic form. Architect Plus Architecture Craig Yelland and Ian Briggs worked closely with Baracon to create a building that will become a Melbourne icon.